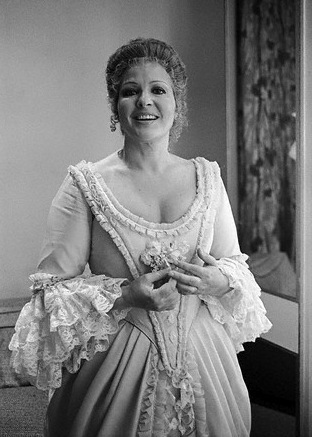 Over drinks with a friend on the East Side of Manhattan last night, a wonderful soprano came to mind. Our host had mentioned the current Metropolitan Opera production of Tosca with Patricia Racette, and the conversation wound its way to similar voices, and who's name was conjured? 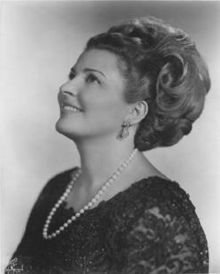 None other than Pilar Lorengar. And then I remembered! I heard Lorengar sing a recital at the 92 Street Y in late 1980's, and was blown away with her velvety full tone. Her singing made me feel as though I was listening to an earlier era, one of elegance and Old World sophistication. Hearing Lorengar on utube doesn't do her justice. The voice is quite beautiful. But in my memory, it had something that is hard to capture on a recording. Older vocal pedagogues called it 'vibrazione', which is characterized by a pulsating vibrancy (distinct from vibrato) that hovers in the air, full, rich and deep, making the bones sing, and betraying no effort or stridency. Now that's something to work for in one's voice, no? How to do it? To my way of thinking, listening for this particular quality is the first step. The second step? That might be a relentless and thorough investigation of the three primary vowels: [a], [i] and [u]. Simply put, [a] gives the voice its openness, [i] gives it depth and ring, and [u] brings brings it into focus. Every vowel sung - no matter what it is - has an element of all three. That's what I hear in Lorengar. What a hauntingly beautiful voice.